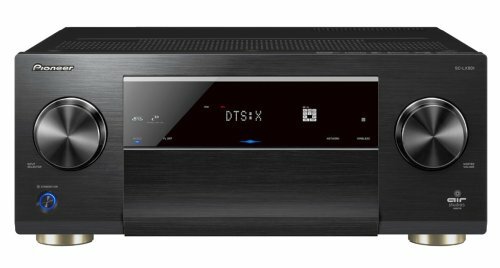 9.2-channel, multi-channel receiver with class D amplifier, Air Studios certification, 4K ultra-DH upscaling/pass-through, Dolby Atmos, DTS:X and full high-resolution streaming. 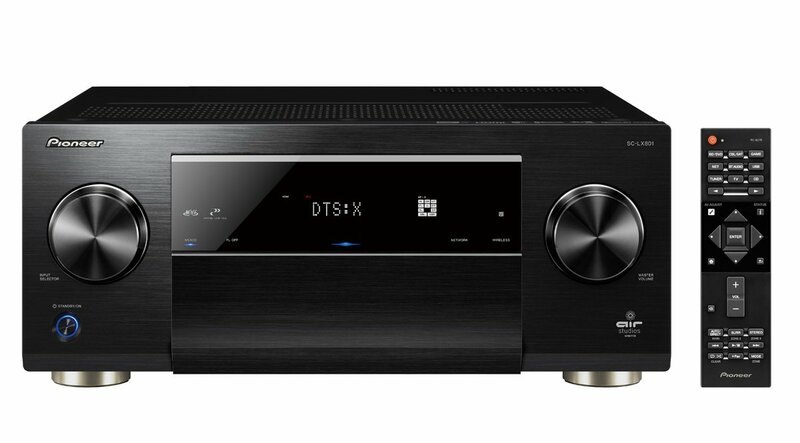 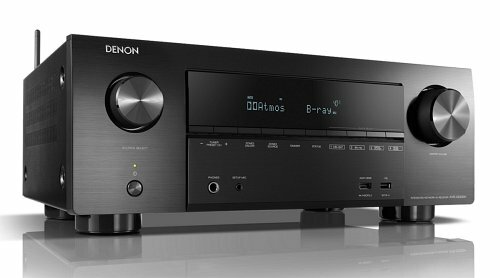 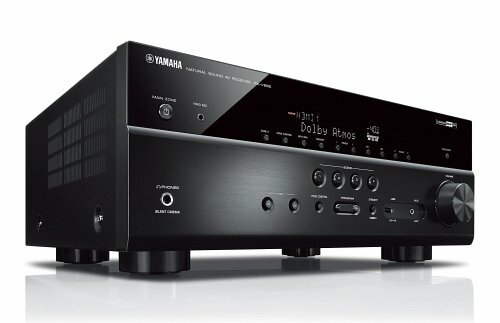 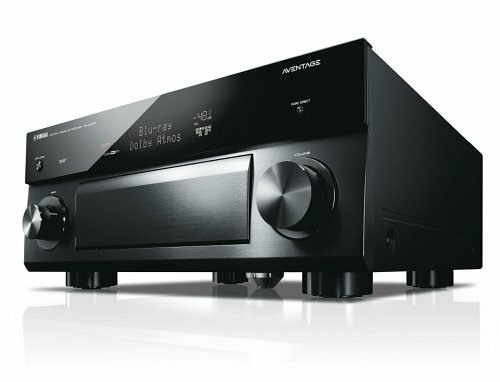 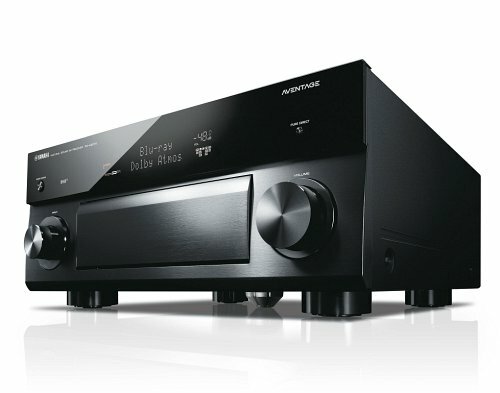 If one needs to choose between more channels and higher quality, pick the latter in case of doubt – or simply realise both without compromises thanks to the SC-LX 801: with nine output stages and two sub-outputs, this receiver fully utilises the potential of the DTS:X and Dolby Atmos object-oriented cinema formats – with a full UHD image and high-quality 4K scaling of course. 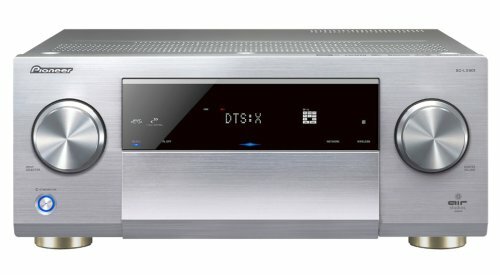 Measuring laboratories and listening tests unanimously answer the question of sound quality: fatigue-free continuous high performance, natural, dynamic sound and the best energy efficiency have long been hallmarks of Pioneer’s Direct Energy HD amplifier technology, which has once again been fundamentally revised and further improved for the SC-LX 801. 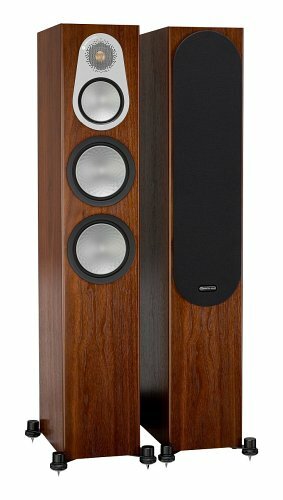 This was fully appreciated by the sound engineers at London’s Air Studios, who awarded the coveted “Monitor” certificate to the receiver after extensive tests. 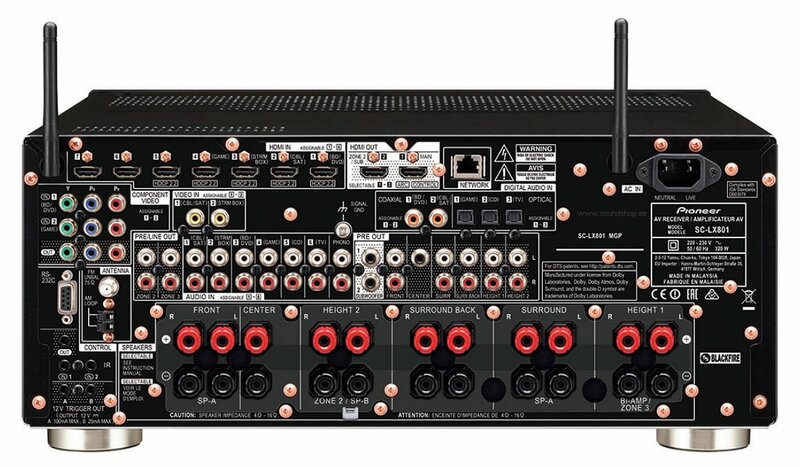 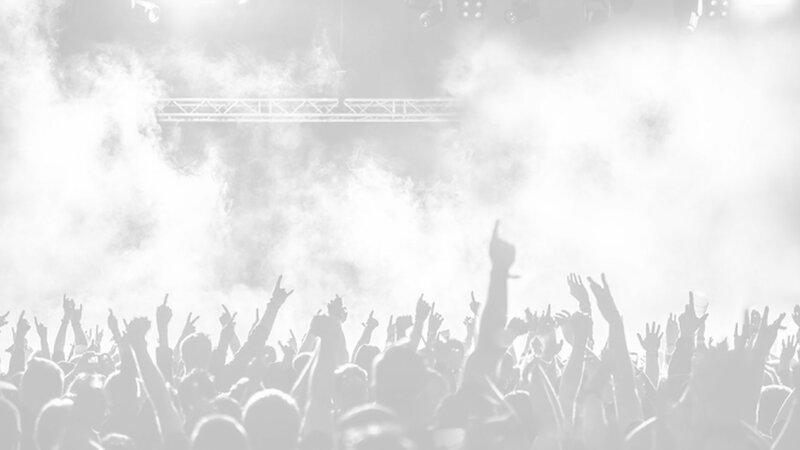 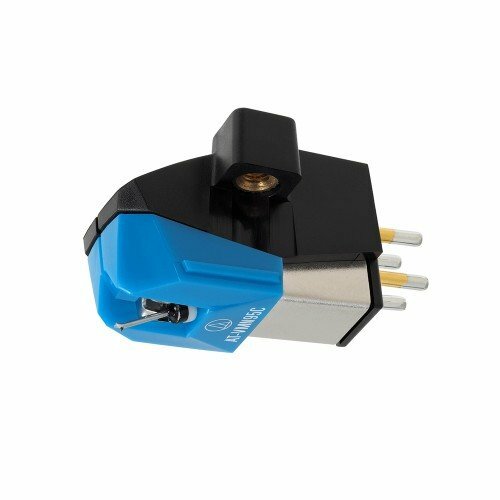 At home one is more likely to listen to music from the Internet rather than directly out of the mixer. 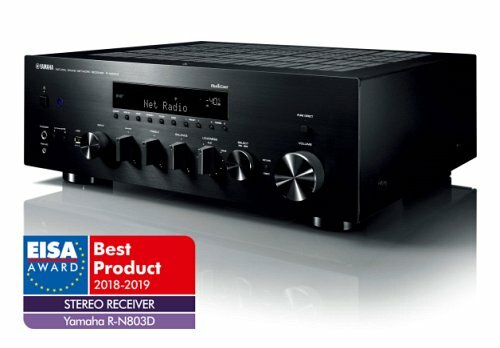 Yet this does not have to mean a reduction in quality, since the loss-free streaming music services Deezer and Tidal in addition to Spotify are natively supported by the SC-LX 801. 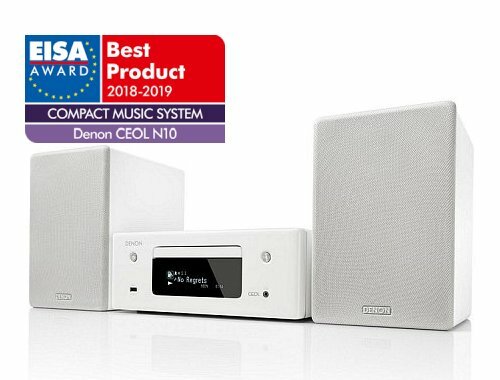 Even studio master quality is no problem from the local NAS since DLNA streaming with the new Pioneer plays back even high-resolution files up to 24bit/192kHz and DSD up to quad-rate 11.2MHz. 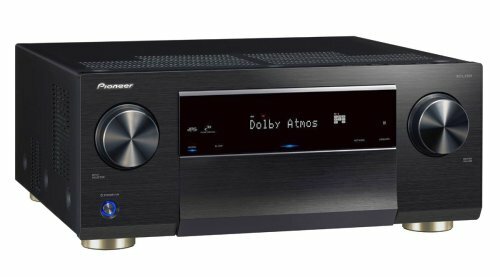 This does not even come close to exhausting the versatility of the new Pioneer streaming engines. 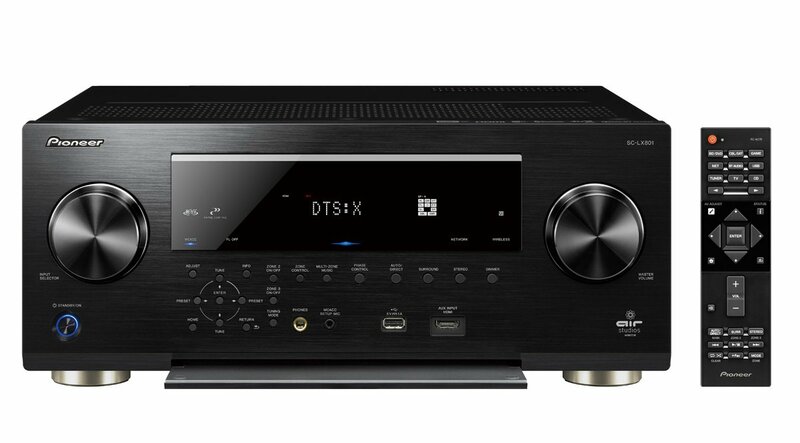 Naturally Bluetooth and all network-based standards from AirPlay to Google Cast are supported by the SC-LX 801 as well. 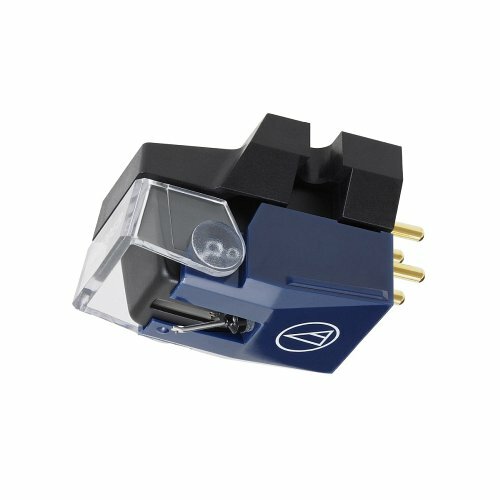 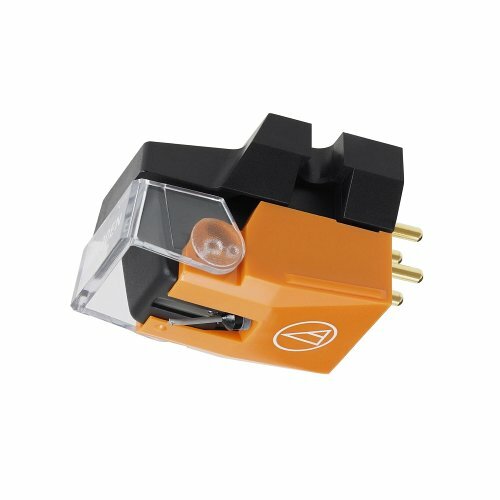 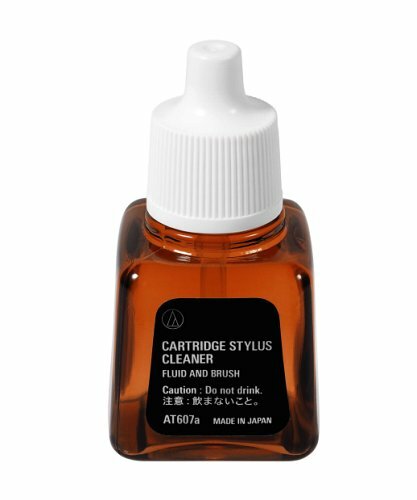 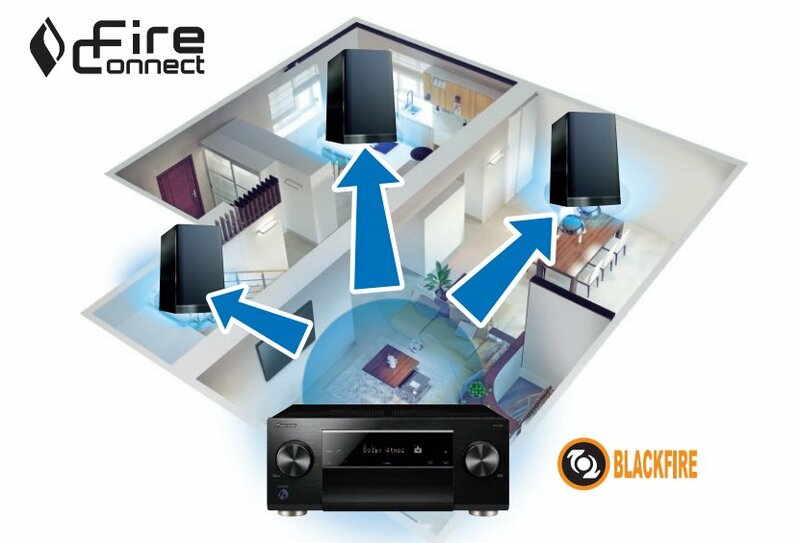 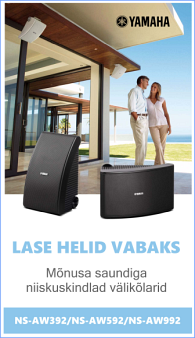 With a free update, it can also become part of a FireConnect high-performance multi-room network.